Sony Ericsson unveiled the Xperia Ray and Xperia Active, new phones that will come equipped with Android 2.3 Gingerbread, at the CommunicAsia conference in Singapore. The Xperia Ray is .37 inches thick and comes with a 3.3-inch screen, Sony said. Inside, along with Gingerbread, the Ray runs on a 1Ghz processor and Sony's Reality Display with Mobile BRAVIA engine. 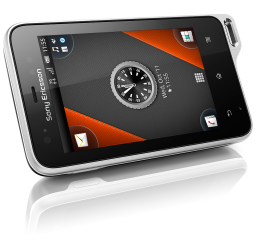 "We expect Xperia Ray to appeal to consumers who are looking for a combination of beautiful design and a rich feature set," said Daniel Sandblom, the global product marketing manager for Sony Ericsson. The Ray also weighs .22 pounds and has the interesting option of being available in pink or gold as well as the more traditional white or black. 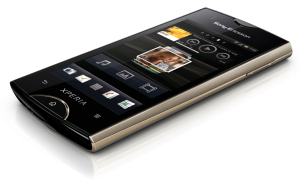 Not surprisingly, the Xperia Active targets users who are more likely to put a little wear and tear on their phones. Sony says it's designed to resist dust, scratches and water. On-screen heart monitoring and wet finger tracking on its multitouch screen are just a few of the features that help lend the Active its name. The internal makeup seems similar to the Ray, although the camera is only 5 megapixels. Sony got tennis player Maria Sharapova to endorse the phone, but I was more interested to learn that it can withstand being submerged in 3 feet of water for up to 30 seconds. Both phones are expected to launch in the fall worldwide.